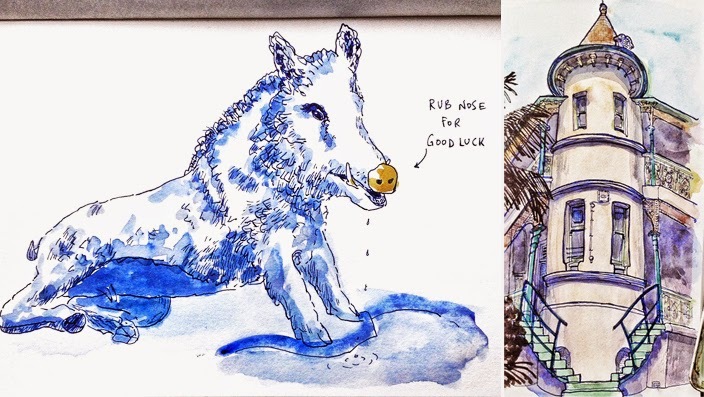 Following is a collection of sketches created at Sydney Hospital on 2 May 2015. As organiser for the day, finding quiet time to sketch is always a challenge. I did three sketches, none of them were completed. The first (on the left), in brown ink, was my warmup while waiting for everyone to arrive. The second (on the right) was of the round corner turret that I have only noticed recently - I have been in this courtyard many times but never saw this part of the hospital. I really liked the green stairs at the base but it started raining when I was only halfway through - umbrella was put up and I continued, but my flow was disrupted. I keep working rapidly to reach the bottom of the page and then abandoned the sketch. 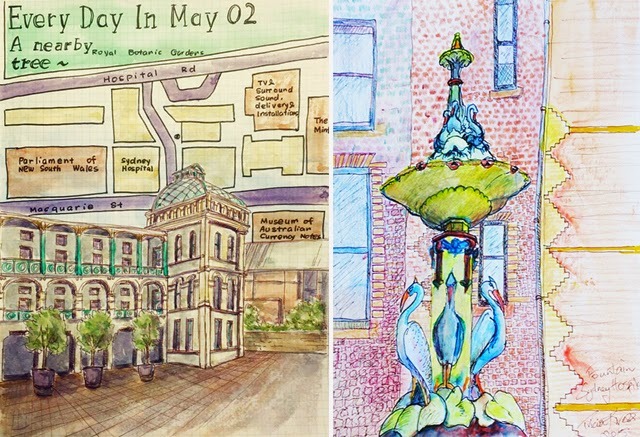 Ironically the rain stopped so I would have have plenty of time to finish this according to plan- oh well, that is one of the joys of Urban Sketching. 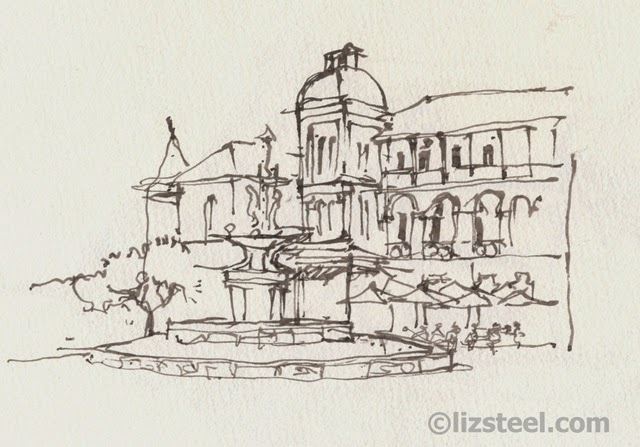 My third sketch was going well until the ink ran out… I was hoping to sketch an overall scene of the courtyard …It wasn't to be! 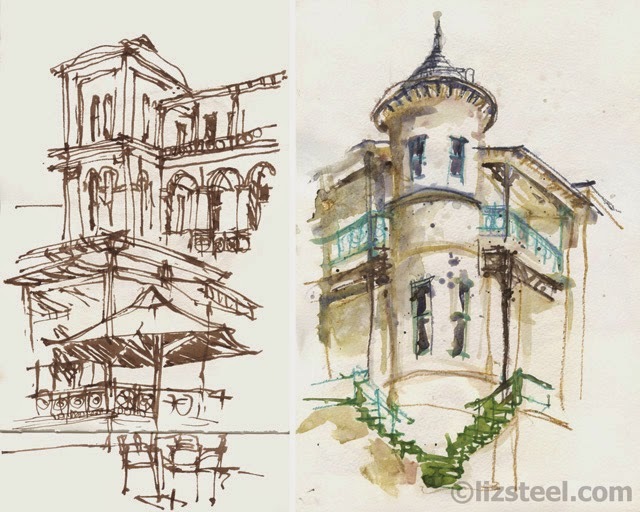 There are many interesting features of the Sydney Hospital to sketch but I could not go past the fairy tale like turret set on the side that looks out to the gardens of the Domain. Secondly, the bronze statue of the wild boar 'Il Porcellino' - great to sketch and entertaining to watch so many passers by stop to rub his snout.